The looming deadline of a blog event, hosted by my blogging buddy Anna Antonia, gave me the much needed kick in the energy to overcome my dog days' laziness and write a new post. What to do with stale bread? For me a no-brainer: baguette or brioche leftovers usually end up as bread pudding. But for sourdough or other hearty breads there's only one option: grind, toast, and re-bake! Unfortunately, his (visually gorgeous) baking book "Brot” is so sloppily edited that only experienced bakers are able to figure out how to work with sparse instructions and missing ingredients. One of his breads was the inspiration for my Nice-Twice Sunflower Seed Bread. What makes a dough with a larger amount of old bread (here more than 13%) so special? Not two loaves are the same, because leftovers of several different (and differently seasoned) breads go into my crumb collection. I was very curious how my improvised sunflower seed bread would turn out. We were absolutely delighted! It had an excellent taste - slightly sweetish and hearty, with a thin, crispy crust. One bite - and it was admitted to my "Bread Hall of Fame". The recipe you can find on my (recently relocated) blog "Brot & Bread". this needs? Amazing what toadies will do to a bread! It sure sounds great and if it hits your Hall of Fame right off the bat then it has to be really good. Nice to see your post Karin and happy baking. Yes, it really is quite remarkable. As you know, I almost always use long fermentation. 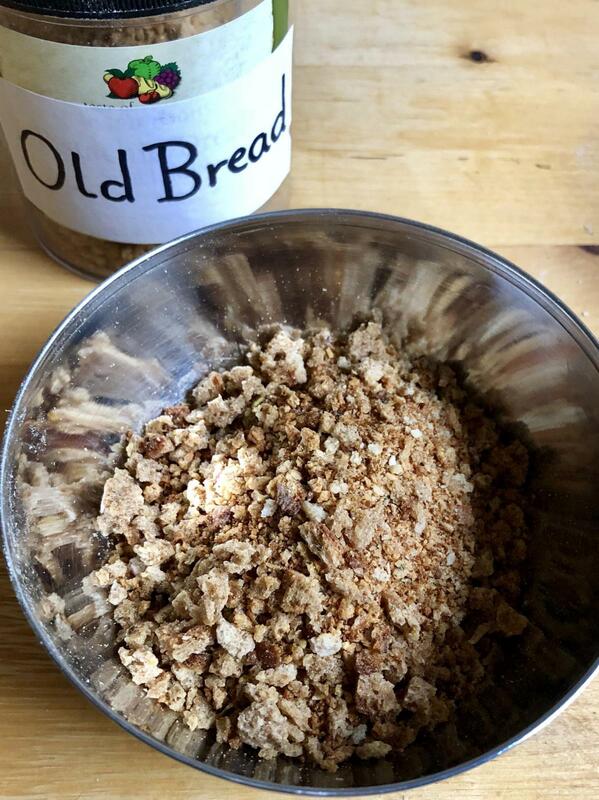 But here the old bread soaker and the starter are enough to do the trick, even though the starter contributes more to the flavor than serving as leavening agent. Dabrownman's Swabian Potato Bread - Never Bake the Same Loaf Twice!